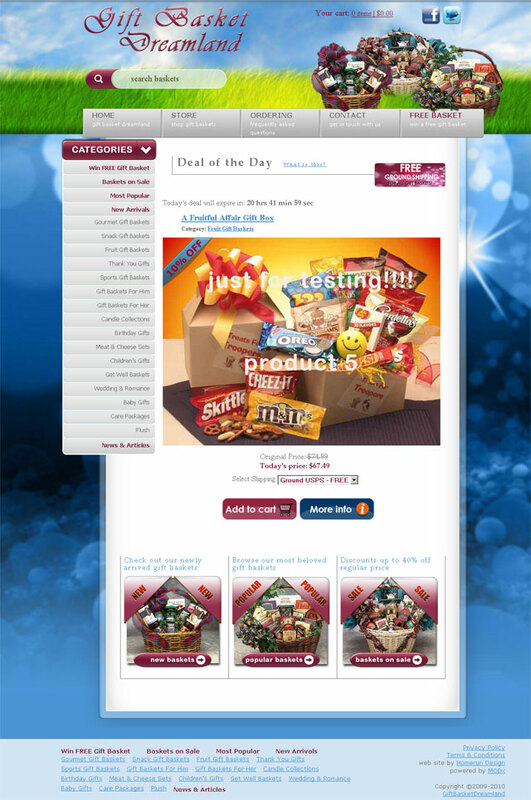 Gift Basket Dreamland is an online retailer of quality gift baskets. The web site is a 100% original, full-fledged e-commerce solution built on Modx Content Management System and Foxycart shopping cart. The inventory consists of several different gift basket categories. It was essential to have a web site that is easy to update as frequent discounts and special offers are promoted on daily bases. Lot of time and effort went into creating an SEO friendly web e-commerce web site. Table-less coding practices with clear separation of style and content were used to even farther improve the SEO.